Each morning my kitten comes in and sits on the window ledge to gaze at the birds in the tree next door. She's only 6 months old and I'm hoping wont grow a lot bigger. Next thing her twin comes in and joins her. The most hilarious thing is when one tries to pass the other on the sill!! We call them Millie and Maxie, or M and M's! One of my goals in retirement is to sort out all my zentangle paraphernalia...folders, loose papers, projects, you name it I'll have it somewhere. So today I began! Here's my bedroom AFTER sorting the papers..notice the overflow from my rubbish bin. I have yet to put stuff in folders, I guess that's for another day, After that good deed I had to go and have a lie down for an hour! But I am so pleased I have begun, its a great feeling. This week's Dare is a little different from my normally bright colours. They say "A change is as good as a holiday" Good to vary what we do else we get into a rut. Oh, I swim in Your zendalas white hole. Beautiful and soft colors and fine lines. 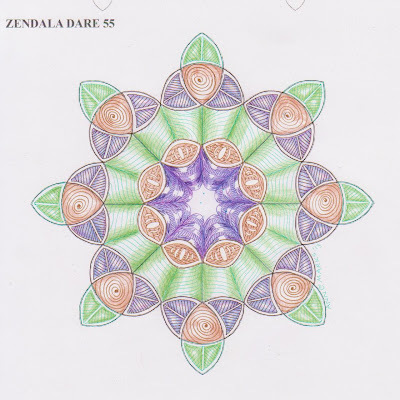 Your zendala is very beautiful. Great, I love your linework and the colors are so nice toghether. Like the colors and the depth created in the center. 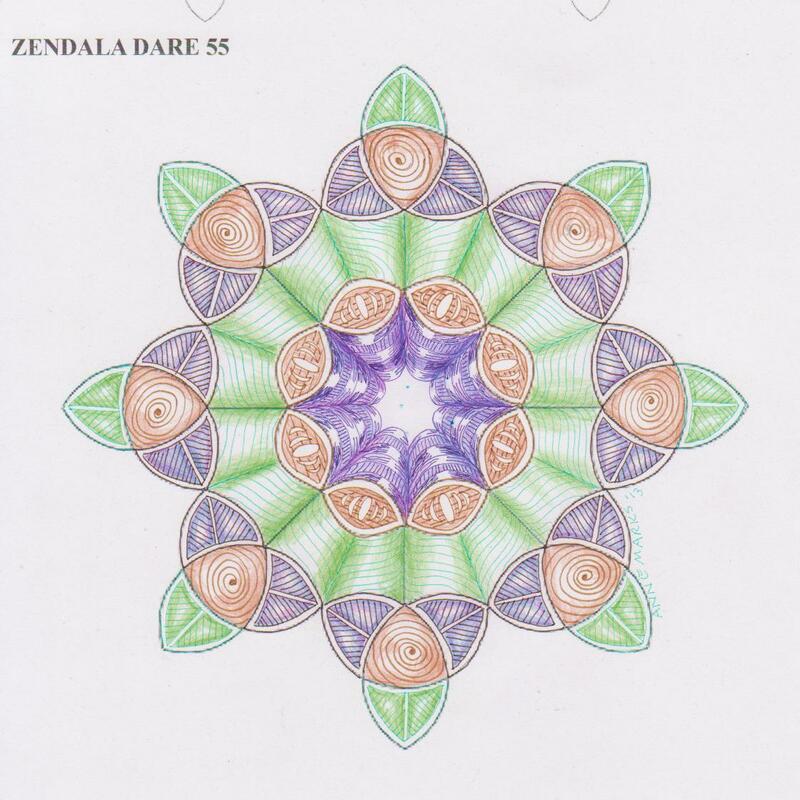 Realy nice, the centers in the zendala's are always a special inside challenge! Zendala Dare #57 for real!